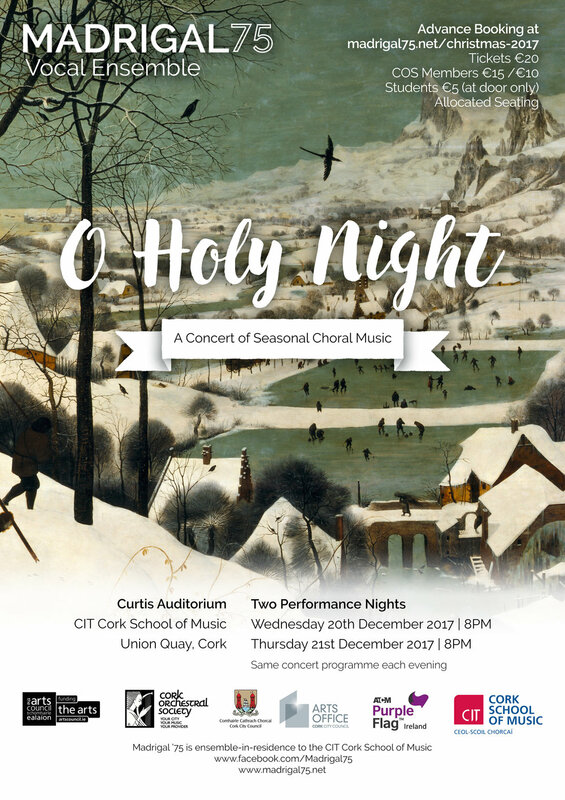 Madrigal ’75 presents their ever-popular Christmas Concert, TWICE, on both Wednesday 20th AND Thursday 21st December, with a stunning selection of seasonal choral music. Madrigal ’75’s repertoire includes both rarely performed works alongside Christmas classics, with music spanning the ages from early to contemporary. A concert not to be missed! Complimentary refreshments after the concert. Both concerts are now sold out - a limited number of tickets will be available on the door on a first come, first serve basis. PLEASE NOTE that this event has sold-out in recent years, therefore seats unclaimed by 8:00pm on the evening of the concert may be sold forward to patrons on a waiting list, so be sure to arrive early! 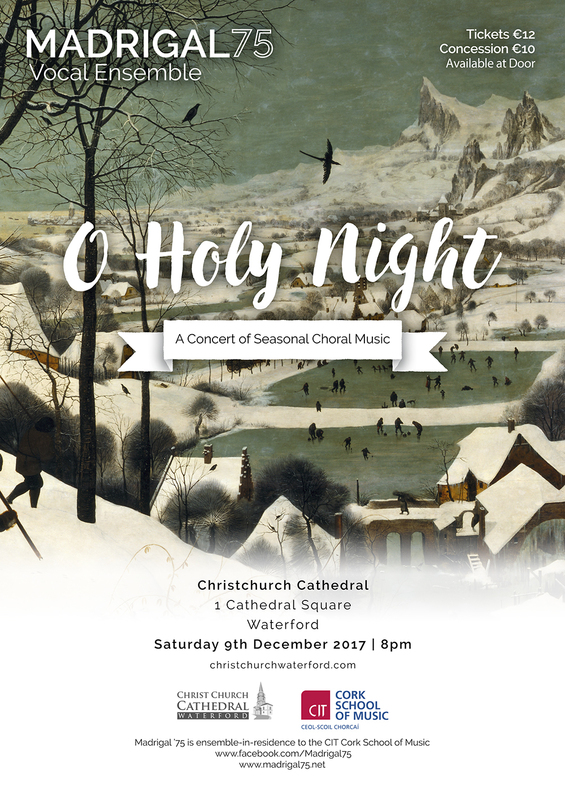 Madrigal 75 will also present their 2017 Christmas programme 'O Holy Night' in the stunning Christchurch Cathedral Waterford.